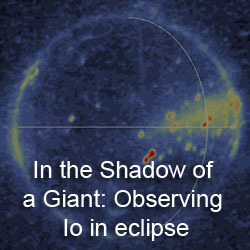 LPI researcher Paul Schenk has posted a set of four movies showing examples of topography from each of the four Galilean satellites on his blog, Stereo Moons. The release of these movies is meant to be part of the commemoration of the 400th Anniversary of the discovery of these moons by the astronomer Galileo. 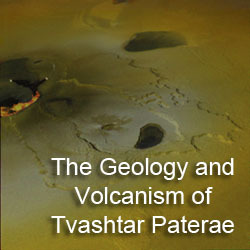 The Io example covers the mountain Tohil Mons and two nearby volcanoes, Tohil Patera and Radigast Patera. 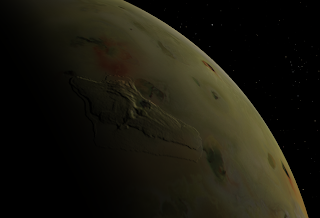 This mountain can be seen at left in a screenshot from my local version of Celestia (which includes real and faked topographic information for Io). 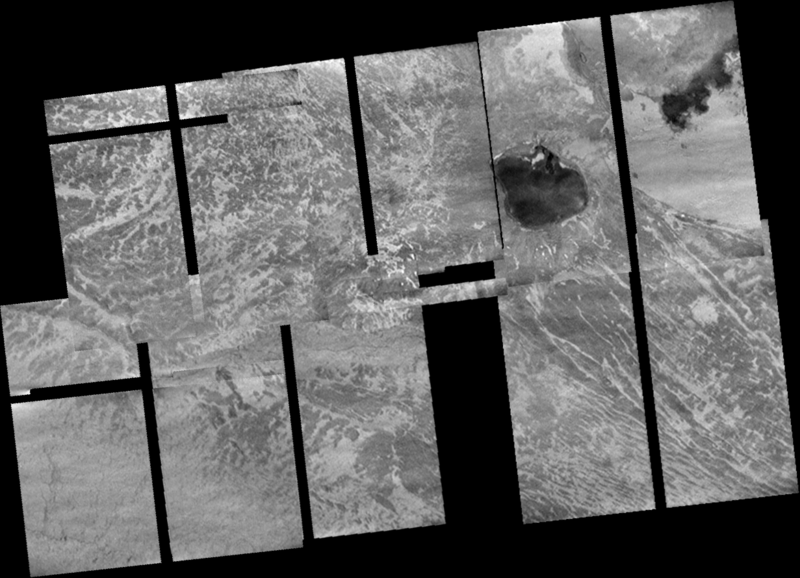 The topographic data Schenk uses is based on a combination of stereo data from two low-phase angle mosaics from Galileo's I24 and I27 encounters as well as shape from shading from a mosaic of Tohil taken when the mountain was much closer to the dawn terminator during the I32 encounter (like the geometry shown in the Celestia screenshot). 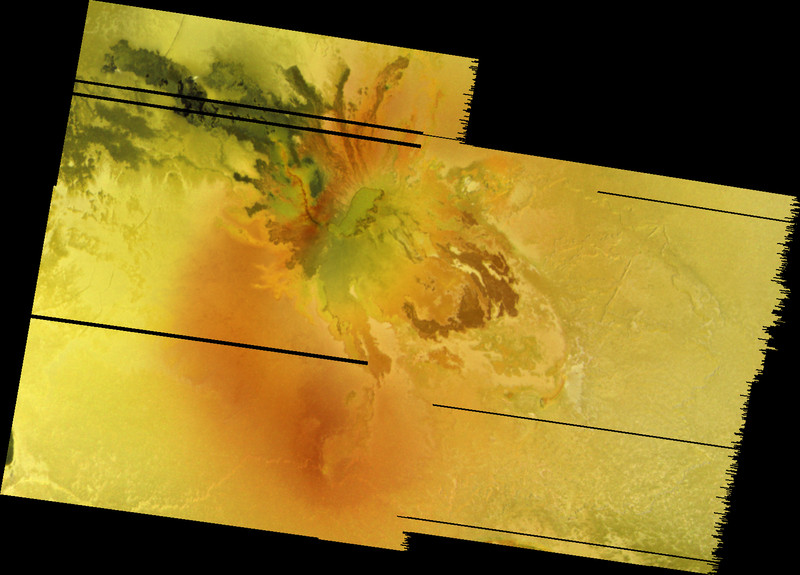 The mosaic was colorized using two mosaics: a regional mosaic of Culann Patera and the northern portion of Tohil Mons from I25 and a global color mosaic from C21. Schenk's movie beautifully shows a mountain at a significant stage of degradation but is still able to reach to spectacular heights. Part of the degradation of this mountain is the result of nearby volcanism at Radigast and Tohil Paterae. 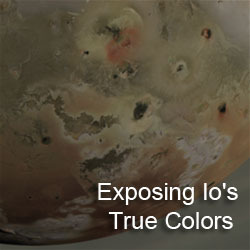 Tohil Mons was perhaps the most extensively imaged mountain on Io by the Galileo spacecraft, and even higher resolution data is available, and Schenk promises higher resolution topographic information and a higher resolution movie is forthcoming. Of the other three movies, my favorite has to be Ganymede. That movie covers portions of Arbela Sulcus and the older terrain on either side of it. 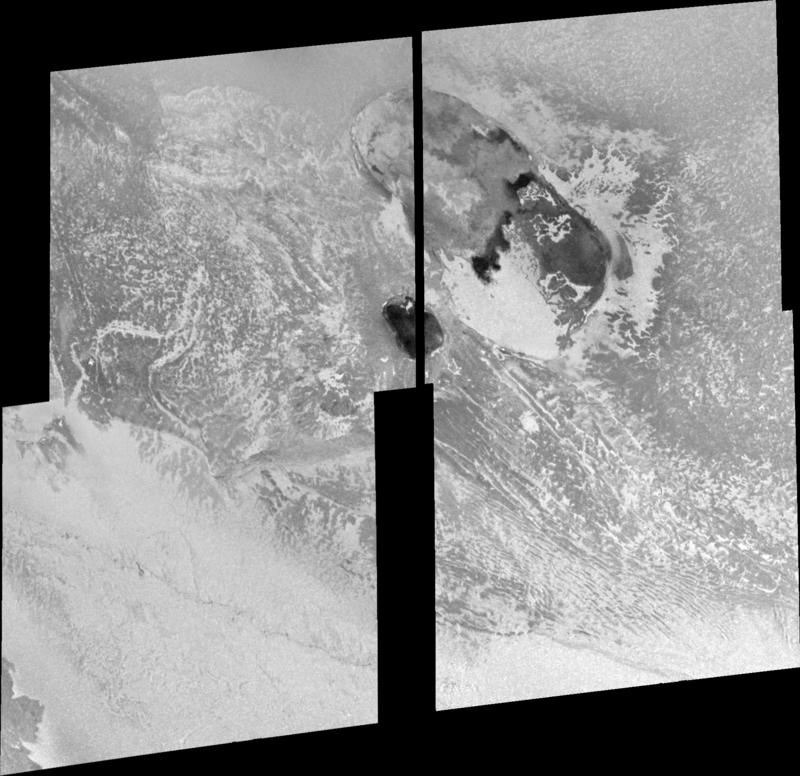 I like it because the topography and albedo information seems much more coherent. Europa, for its supposed smoothness, always looks like a jumbled mess when you look at it up-close (with exaggerated topography). 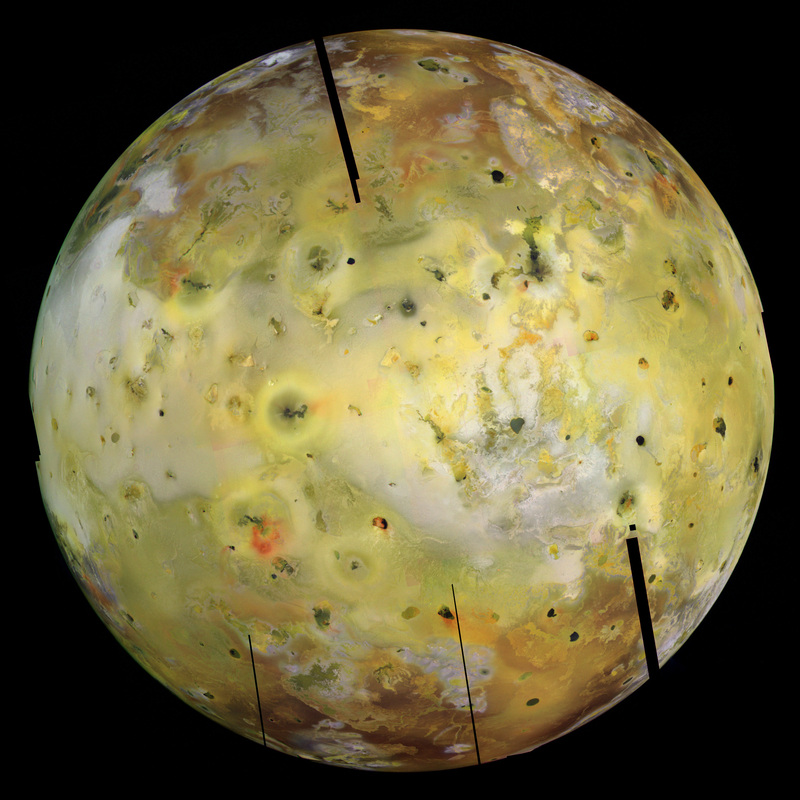 Callisto, well, Callisto has too many craters.